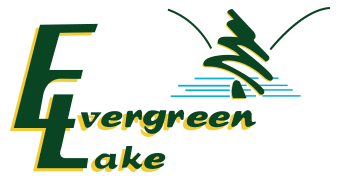 At Evergreen Lake, we have a 25 acre manmade spring-fed lake and a small pond where you’re almost guaranteed to catch a fish at the base of the Blue Mountain away from, but close to busy highways. We offer license-free fee fishing, no matter what state you’re from, with no catch limit. 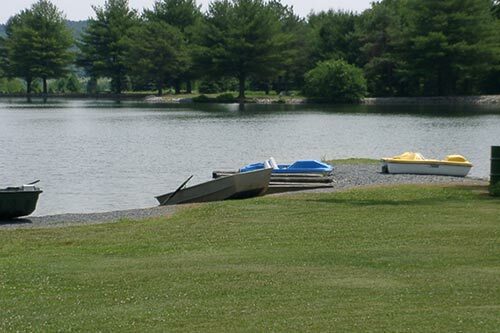 Evergreen Lake and pond are fully stocked with trout, bass, catfish and sunfish, so come out and make a day of it! Enjoy our incredible picturesque views while you enjoy a picnic lunch at one of our lakeside picnic tables and then try your luck at our fun and challenging mini golf. Row boat, paddle boat and fishing pole rentals are available and bait and tackle can be purchased at the office.